Video marketing is an absolute essential in today’s digital-centric society. 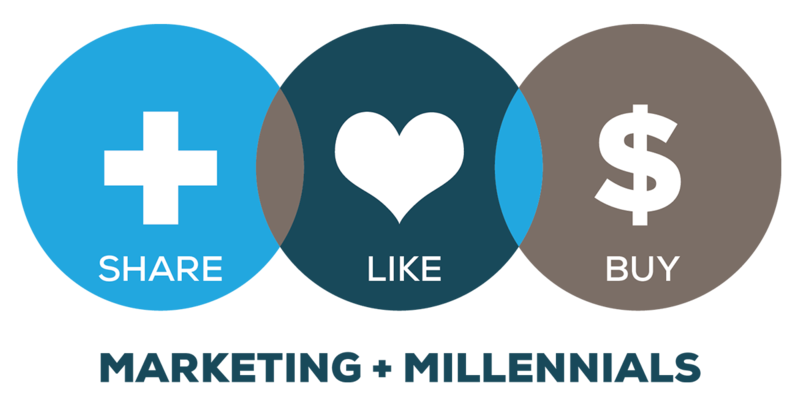 But what exactly is video marketing and how can you use it to attract a millennial audience? Video marketing is exactly what the name suggests, the use of video to promote your brand of product. It can be used on your own website, via social media, on YouTube or in your own e-mail marketing. But video marketing doesn’t just have to be video content directly promoting your products or services. It can be used in a variety of ways to engage your audience, interact with your customers and to build brand loyalty. According to some research, mobile video usage has increased by almost 10 million daily views over the last two years and 54% of consumers said they wanted more video content from brands or businesses they support. There is also evidence that video boosts information retention. When we hear something, on average we retain about 10% of the information by a later date. But seeing something accompanied by relevant imagery allows us to retain, on average, 65% of that information. Video is also linked with making customers more likely to make a purchase. Apparently, customers are 64-85% more likely to buy products or invest in services after watching video content. Millennials, in particular, respond well to video content. In the charity sector, there is research showing that 60% of millennials engage better with video than newsletters and adding video to your emails can generate a massive 200-300% increase in click-through rates. And according to statistics collated by Givergy in 2017, 57% of people who watch videos by non-profits will end up making a donation and are 7 times more likely to share a video on Facebook over a link. All things considered, there’s simply no denying how powerful video is in today’s digital market. So now that we know why video should be an integral part of your digital marketing strategy, let’s look at how you can get the most out of your content. Like everything in your content marketing strategy, your video output should be carefully planned and well considered. Take some time to sit back and really think about what it is that you want to achieve. Before creating video content, think about the audience you want to attract and what outcome you’d like from them viewing your videos. This will ensure that your content has the right message and urges your audience to react exactly how you want them to. Then, you should think about when and where you will be posting the content. You should plan this out months in advance for a strategic approach that will get you the best return on investment. Yes, posting a lot of random content will drive some traffic to your website but a carefully considered approach with a steady stream of thoughtful content posted at strategic times will get you so much more. Like we’ve already discussed, plastering your video content all over the place is one way to get views, but a carefully considered strategy will take you a lot further. Carefully deciding where to post your video content will be key to reaching and engaging with the right audience. YouTube should be slap bang in the middle of your video campaigns. It’s owned by Google which means, if you use it properly, you can have a positive effect on your search engine rankings. To make the most out of your YouTube videos, make sure you have all the relevant keywords and phrases in place. Social Media channels like Instagram, Snapchat and Facebook will also be invaluable. Don’t be afraid to make different content or even different versions of content for each of these as users tend to engage differently in different channels. Millennials love to get involved so make your content as interactive as possible. For example, you can run campaigns on social media asking your customers to send in their own videos and compile these to great a promo video. Or ask for suggestions on what your audience and customers would like to see from you before creating your content. Always encourage comments and feedback. The more involved the audience feels, the more they are likely to engage with your content and share it with their friends. Millennials have spent the majority of their adult lives with endless content at their fingertips. As a result, they have low attention spans and expect to be able to access what they want with the minimal amount of clicks. To capture a millennial audience you, therefore, need to make watching and engaging with your video content as easy as possible. Have captions or subtitles along the bottom for viewers who are watching the video at work, on public transport or whilst also watching TV (yes, millennials really do that). You should also make it really easy for viewers to share the video with friends via messaging apps or on social media. There is so much content available online these days, it’s tough to stand out. And whilst you need to produce a steady stream of content in order to keep up with your competition, you should definitely focus on quality over quantity. Don’t be afraid to call in professional video producers if you don’t have the talent in-house. Spending the money on high-quality content that truly engages your audience will be far more cost-effective than wasting your company’s time on hours of video that doesn’t quite work. But quality video content doesn’t always have to be your own. As long as you are not breaking any copyright laws, you can and should share quality videos from other sources too, particularly on your social media channels. Use your video content to establish yourself as a knowledgeable and trustworthy source in your industry by posting content by other relevant parties in your field. Video marketing offers a world of opportunity and should be a staple part of any marketing campaign targeting millennials. By planning your content strategy ahead of time, you will make sure that your content is relevant and of high quality and truly engaging. Experienced Creative Producer with a demonstrated history of working in the marketing and advertising industry. Skilled in Writing, directing, editing, live events, product launches, tv commercials. Over 18 years of industry experience working to help global brands build creative and thought-provoking productions.